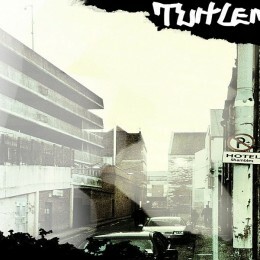 Ireland has produced its fair share of troubadours over the years and while the addition of one more might not strike you as the most exciting thing ever you probably haven’t heard Liam O’Callaghan’s Turtlemeyer. The 26 year old Cork man, now based in Dublin, is releasing his debut album, ‘Hotel Shambles‘, on March 8th and what a hushed delight it is. Over the course of 10 tracks you’ll feel as if you are in Turtlemeyer’s recording space, hearing every tugged guitar string, feeling every genuine emotion as this album soothes its way into your affections. ‘Hotel Shambles’ is the epitome of a grower, an album that slowly impress upon you that life in the fast lane is for mugs.